however, the great luxury brands differ from me-too luxury (mostly available in accessible luxury domain) on the value they provide. There are several differences between good and great luxury brands. From my perspective following are the big differences. 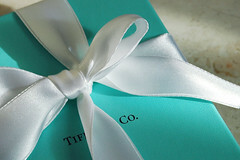 (b) Great luxury brands deliver value on more than one dimension. In one of our recent studies, we identified four major value aspects luxury brands should serve including social, personal, functional and financial value. Social dimension refers to the pride relating to acquisition and display of the product. Personal dimension reflects the individualistic attitude of materialism and pleasure seeking. The financial and functional dimensions refer to the price and quality match and the uniqueness. What differentiates great luxury brands from good brands is that good brands focus mostly on creating uniqueness rather than usefulness at most times. Most good brands are uni-dimensional. What differentiates great luxury brands? Great luxury brands deliver to their desired target segment all these above mentioned values in far better way than their competitors. For example, Hermes understands that its customer mostly belongs to patrician category who prefer privacy of consumption rather than ostentation. These customers are also interested in subtle signals and therefore from design to marketing Hermes focuses on subtlety. On the other hand, brands such as LVMH or Gucci have large number of customer base from middle to higher middle class and many of these customers intend to show off their acquisition. They are interested in loud signals and that is what these brands provide. This is done through (a) brand prominence in terms of logo placement on the product and (b) marketing campaign which continuously affirms the purchase decision made by the consumer. So, from a marketing perspective, great brands differ on their comprehensive understanding of the target market and the segments they serve and their overall value proposition. Like I stated above, great brands are multi-dimensional. The advantage they garner over other competing brands is through their superior understanding of market and consumers and their overall value proposition. In this regards, the greatness aspect is repeatable and replicable. If an upcoming luxury brand is ready to understand the market and consumers and match its value delivery to what the consumers desire on the four dimensions of social, personal, functional and financial values a good brand can certainly become a great brand over a period of time. However, it has to be understood that this value delivery has to happen continuously for a long period of time for a luxury brand to achieve greatness.